Lafayette High School senior Austin Hindman (pronounced H-eye-ndmin) traveled to California to compete on April 8, 2017 in the 50th Arcadia Invitational, the premier high school regular season track and field meet in the country. 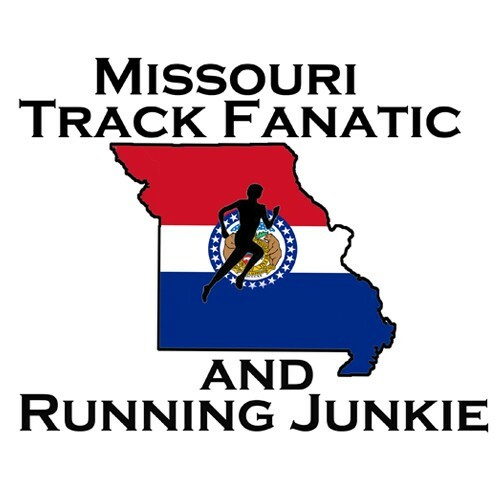 Hindman’s goal: to break the Missouri high school all-time records of Joe Falcon and Matt Tegenkamp in the 3200-meters. Belton High School senior Joe Falcon winning the State championship in the 1600-meters in 1984. Submitted by Dave Denny. Lee’s Summit senior Matt Tegenkamp runs to the 1600-meter state title in 2000 in 4:11, the day after running 8:57 for 3200-meters, setting the Missouri state meet record. Behind him, West Plains junior Jason Sandfort runs to a runner-up finish in the 1600, the day after taking second to Tegenkamp in the 3200 in 9:06. Sandfort just missed going sub 9 his senior year with a 9:00.13 at the Golden West Invitational. Falcon a senior at Belton High School in 1984, set the overall state record with his 8:53.44 in a time trial with post collegians in June 1984 in the Kansas City area. Tegenkamp, running for the same man who coached Falcon, Dave Denny, ran 8:53.79 as a senior for Lee’s Summit High School at the Golden West Invitational in California in June 2000. His mark stood as the high school only competition state record. Hindman’s goal was to better their mark, and if he couldn’t do that, he at least wanted to join the elite list of Missourians who’ve broken the 9-minute barrier for 3200-meters. The July 1984 Track and Field News showing Joe Falcon’s 3200-meter State Record converted to 2-miles, the country’s fastest mark that year. Submitted by Dave Denny. In the premier event at the nation’s top high school track meet, Hindman bided his time. In the 33-man field in the Invitational section of the 3200-meters, Hindman ran in about 20th place the first three laps. In a race that traditionally negative splits, with the second half being faster than the first, Hindman appeared to be in 17th at 1600-meters, crossing the half-way point in a quick 4:27, under sub-9-minute pace. Hindman slowly made his way through the field, avoiding a runner who fell to the track. With two laps to go Hindman was up to 12th. Hindman crossed the line for the bell lap sitting in eighth-place, but not for long. He kicked it into high gear. He blasted around the turn and shot down the back straightaway, leaving his competitors in the dust. He passed one runner, then another, then two more and another. He passed a sixth runner in the 210-meters since the bell. He was suddenly in second place, having run the penultimate 200-meters in 29.02 seconds and having passed two-time Nike Cross Nationals champion Casey Clinger, who had run a 4:02 1600m leg in a relay the day before. Hindman kept the wheels turning and flew down the homestretch. Too far behind to catch winner Cooper Teare, but he closed the final 200-meters faster than the previous 200, in an astonishing 28.61. He crossed the finish line. 8:43.40!!! Hindman hadn’t just bettered the 8:53 3200-meter Missouri High School state record, he had smashed it. By TEN SECONDS! Hindman had taken second at the year’s most competitive 3200m/2-mile race in the country, recording the second fastest time in the country this season, and running the meet’s fourth fastest time ever. His final 800-meters: 2:02.16. His final 400-meters: 57.63! Hindman improved on his personal record by 20 seconds from his May 2016 state championship time of 9:03. Hindman’s time converts to a 8:46.40 2-mile clocking, just three seconds away from the 10th fastest time for an American high schooler. Two days later back at Lafayette High School in Wildwood, Mo. Hindman, the 2016 World Junior Champion in the Triathlon, talked about how it felt to set the state record and run so fast. “It’s amazing. That’s a lot of hard work, a lot of years of hard work all coming together on the right day. I couldn’t be happier with it. Going in my goal was to set the state record, and not only did I do that, but I ran 10 seconds faster. I really couldn’t ask for anything more. I’m just so happy with how it went”. Hindman talked about how the last half of the race played out. “I went through the first mile in 4:26, 4:27. I was watching the clock a little but, trying not to pay too much attention and just focus on the race. I saw 4:26 and I was just kind of thinking to myself ‘Alright, I’m in a good spot, I should hang on.’ Moving into 1200 (meters), I just started to work my way up through the field, I was pretty far back with a mile to go. I just tried to start getting more towards the front, getting ready for that final push. 800 to go I kept moving up, just trying to pick guys off one by one. That’s really when the pace started to get jacked up. While Hindman and his teammates have put themselves on the national stage before with their nationally ranked 2015 cross country team and their US#8 2016 4×800 squad, Hindman came up just short of the individual national stage last fall when he just missed qualifying for Nike Cross Nationals. Hindman took sixth at the 2016 Nike Midwest Regional last November, missing a trip to nationals by one spot and 2-seconds. His attempt a few weeks later for Foot Locker Nationals also came up short at the Midwest Regional where he was 27th, 17 spots away from a trip to Nationals. Hindman with former teammate Devin Meyrer’s grandmother Christel Donley, a track and field official who has worked the Arcadia Invitational for 20 years and who still competes herself. Did O’ Connor think sub 8:50 or even 8:43 was possible? “Sub 8:50 yes. It’s hard to tell. Obviously, he’s really talented and it’s a stacked field on a perfect day, so you never know 100 percent what to expect. I definitely thought sub 8:50 was possible, I didn’t know how far under, 8:43 is pretty impressive. I didn’t expect that far down. But, I’m not going to complain”, O’ Connor said laughing. Hindman has plans to become a World Class athlete like Joe Falcon and Matt Tegenkamp, just not on the track. Hindman hopes to make it to the 2020 Olympics in the triathlon, and if you don’t see him, there, bet on seeing him in 2024. But no matter what the future holds for Hindman, whether he stays healthy and goes on to greatness or never competes in another race again, there’s no doubt at Arcadia, Hindman posted one of the greatest performances in Missouri high school track and field history. He can take pride in an accomplishment few have achieved. His effort stands among the great Missouri All-time performances like Chris Nilsen’s national pole vault record and Sophia Rivera’s All-time US#2 mark in the javelin from last year. It also puts him ahead of every great distance runner in Missouri prep history. His performance will be one Missouri track and field fans won’t forget about for a long time. 1984 Joe Falcon Sr Belton Time Trial 8:53.44! 1985 Chris Borsa Sr CBC Mehlville 8:54.34! % Kauppila was on his way to second sub 9 performance and probably the state record before being stepped on, losing a shoe, and ultimately stepping off the track on lap 6 with foot pain.